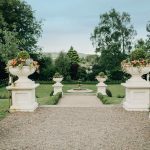 An avenue of oak trees guides you to the stunning Tinakilly Country House Hotel & Gardens. 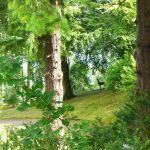 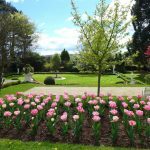 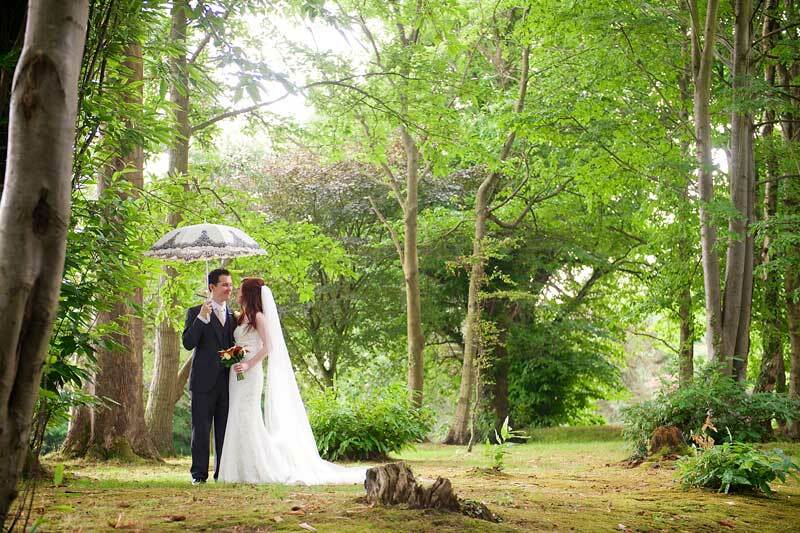 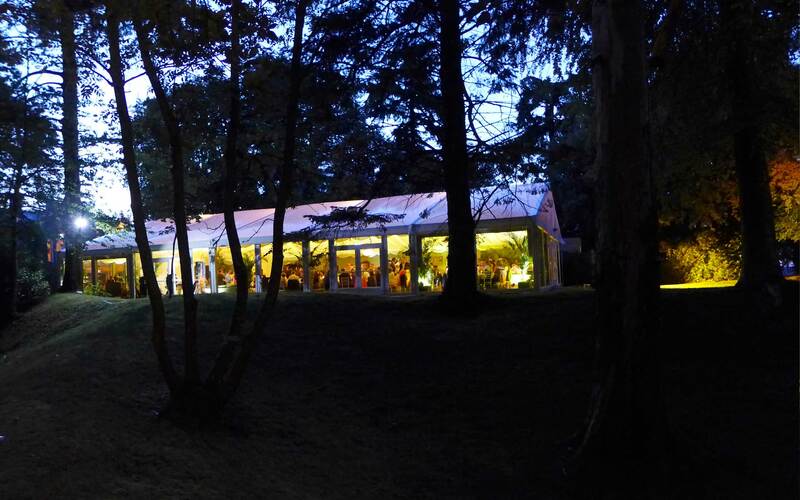 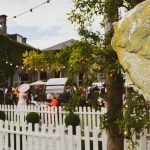 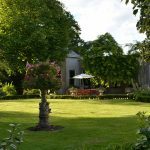 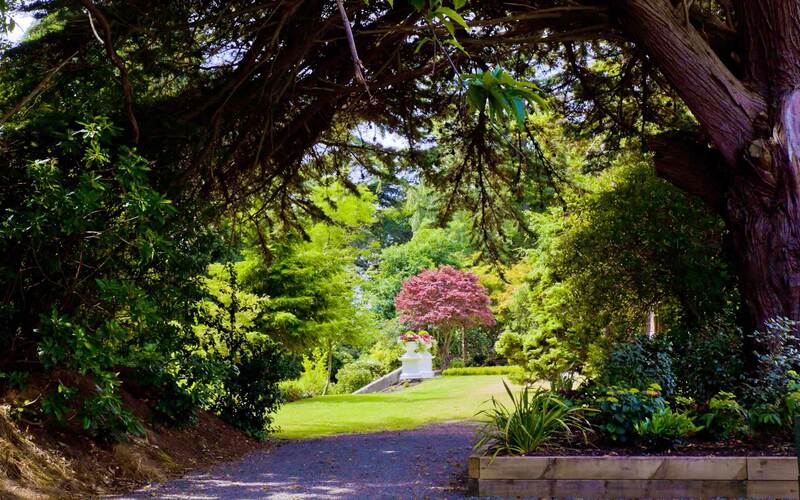 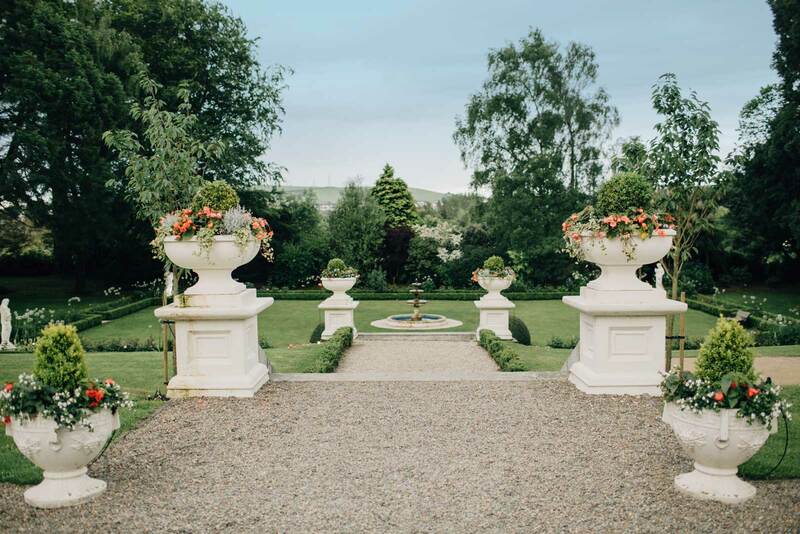 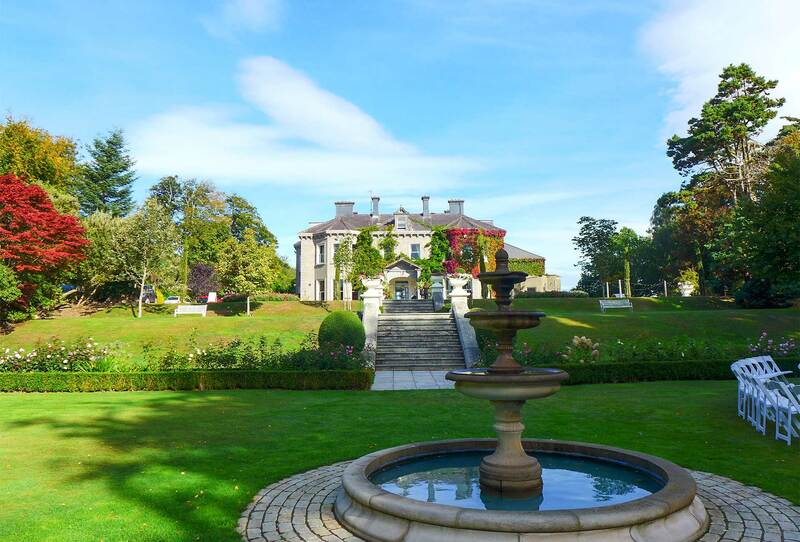 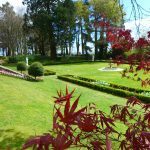 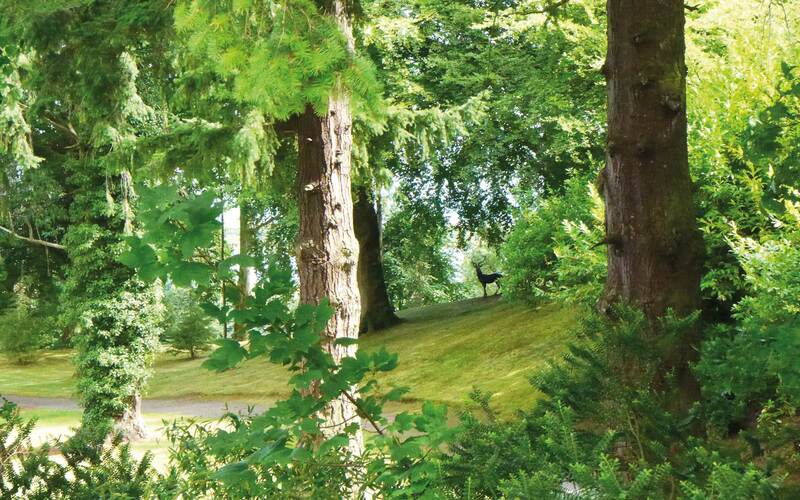 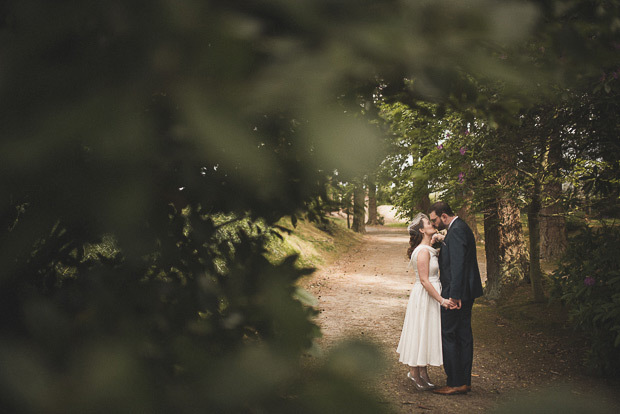 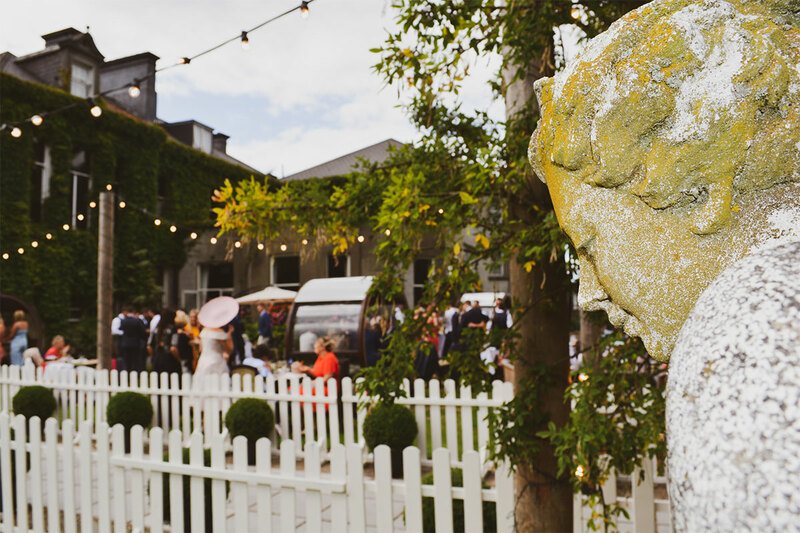 The gardens are approximately 16 acres and the entire estate sprawls over 150 acres, with our woodland walks, lawn terraces, ideal for a game of boules or croquet, rose gardens perfect for your civil ceremony and our Halpin lawn boasting sea views ideal for your drinks reception. 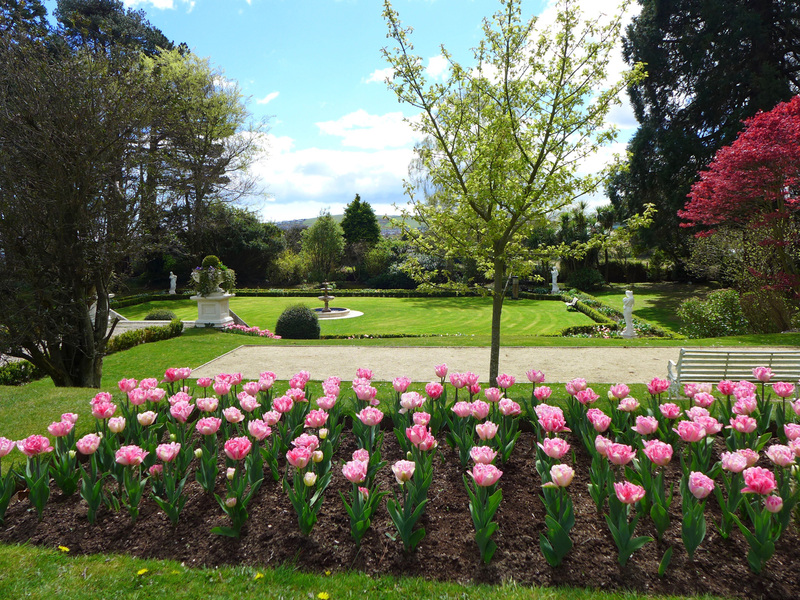 Our team of gardeners ensure Tinakilly is surrounded by beautiful blooms creating multiple photo opportunities. 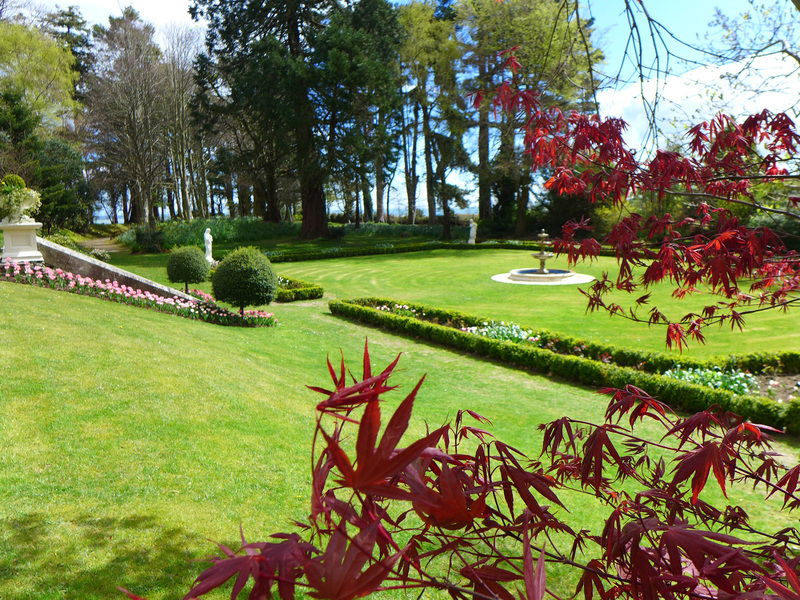 In Spring Tinakilly is surrounded by 100,000 daffodils, tulips and bluebells. 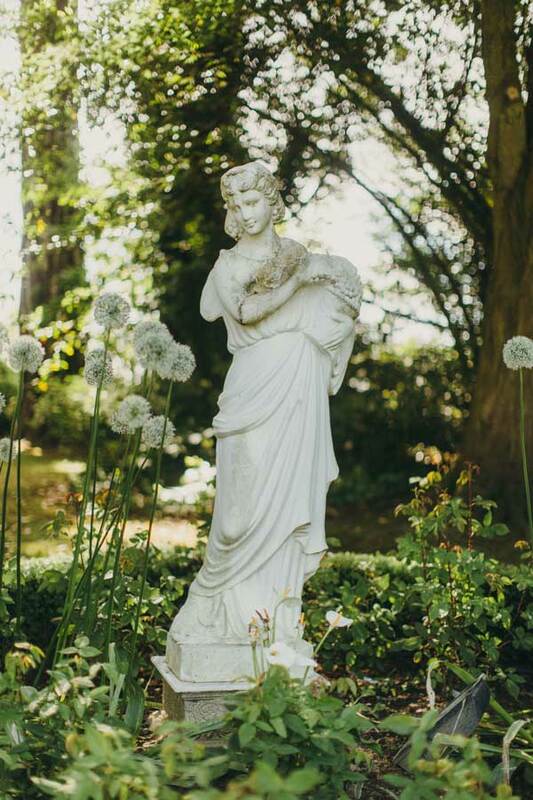 In Summer Tinakilly bursts into colour with varieties of antique roses and seasonal flowers surrounding the house and gardens, the scent is intoxicating. 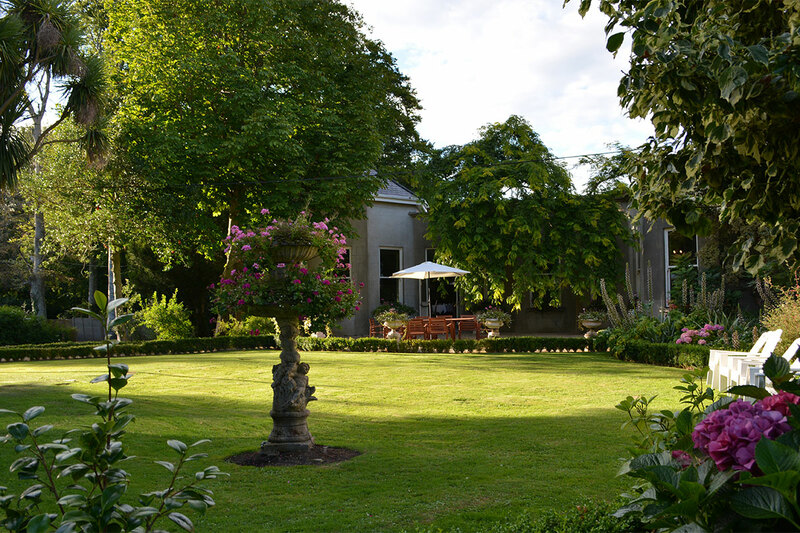 The walled herb garden provides the kitchens with fresh herbs and seasonal vegetables. 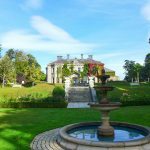 In Autumn the gardens change colour again to autumnal reds and oranges, and in Winter a large Christmas tree adorns the foyer with holly and poinsettias to add colour through out the house. 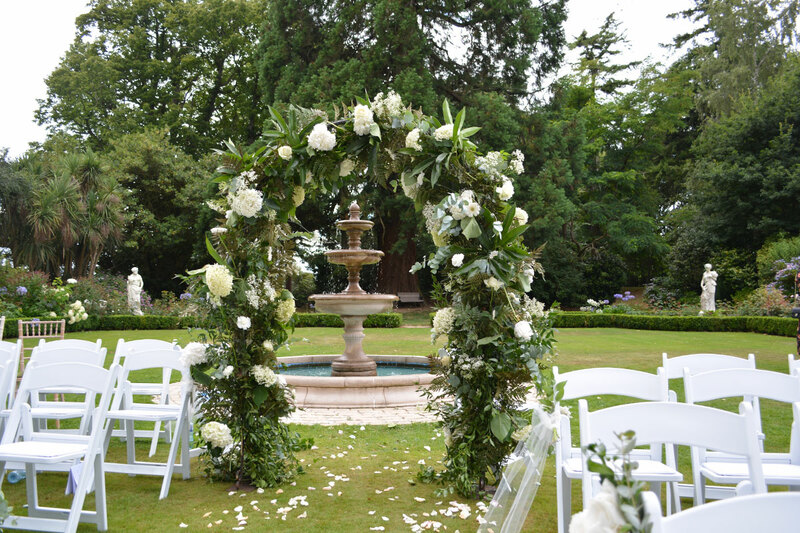 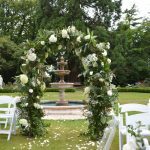 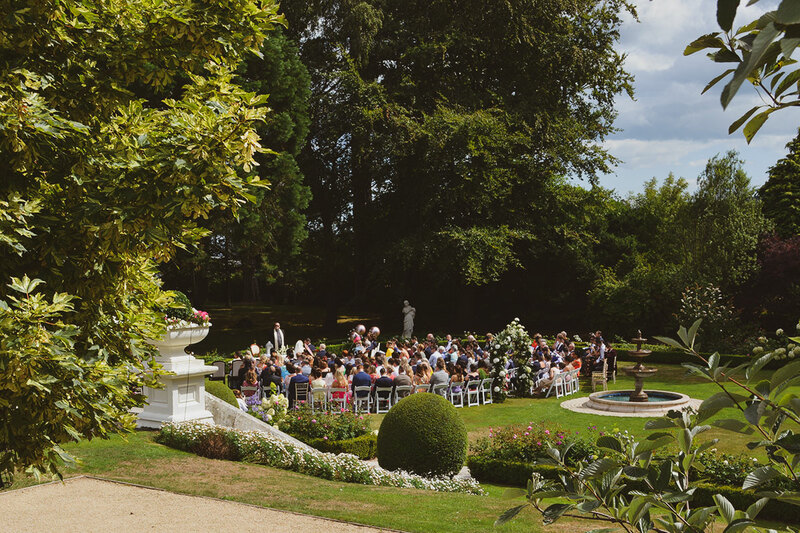 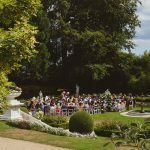 The lower gardens with fountain and boxed Rose Garden is perfect for outdoor ceremonies. 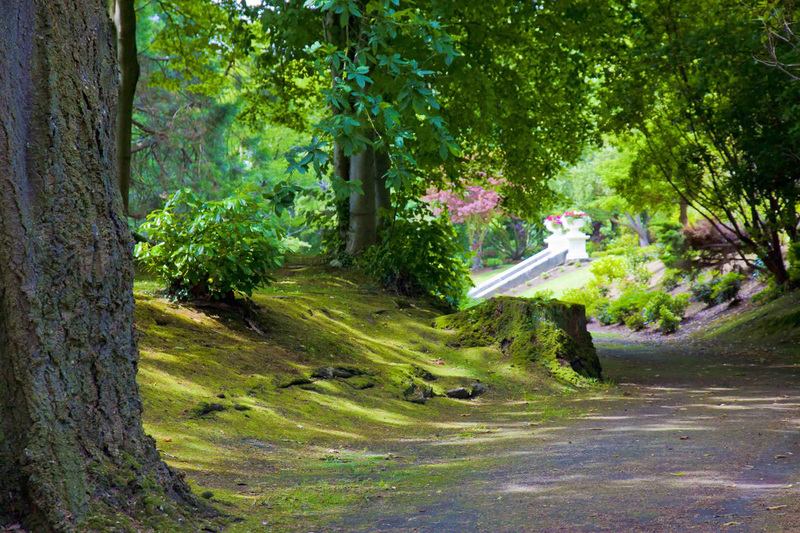 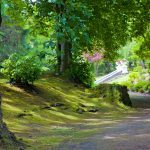 Stroll through the tranquil woodlands. 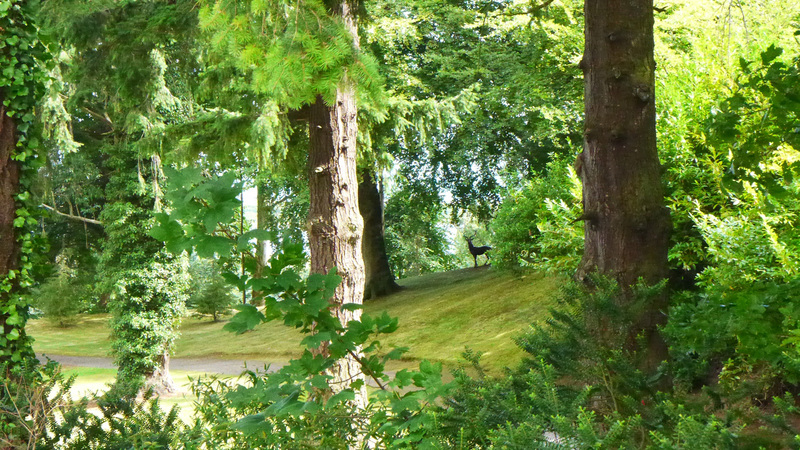 Look out for the squirrels and rabbits. 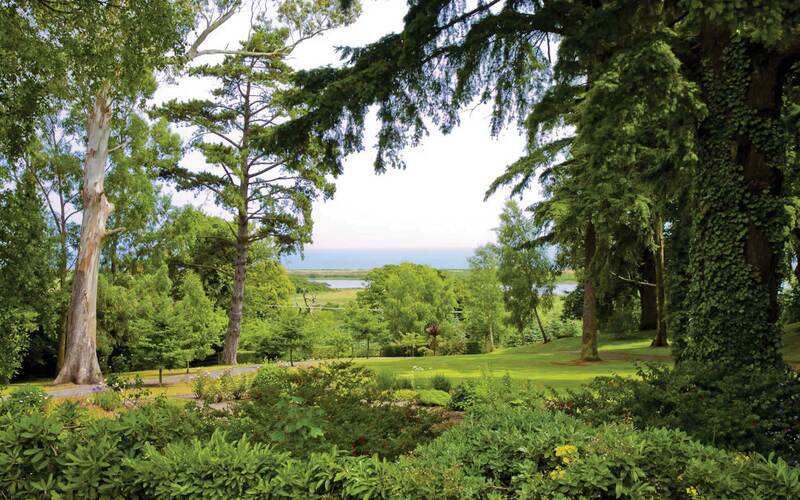 The Halpin Suite french doors opens on to this lawned area, with views overlooking the Irish Sea. 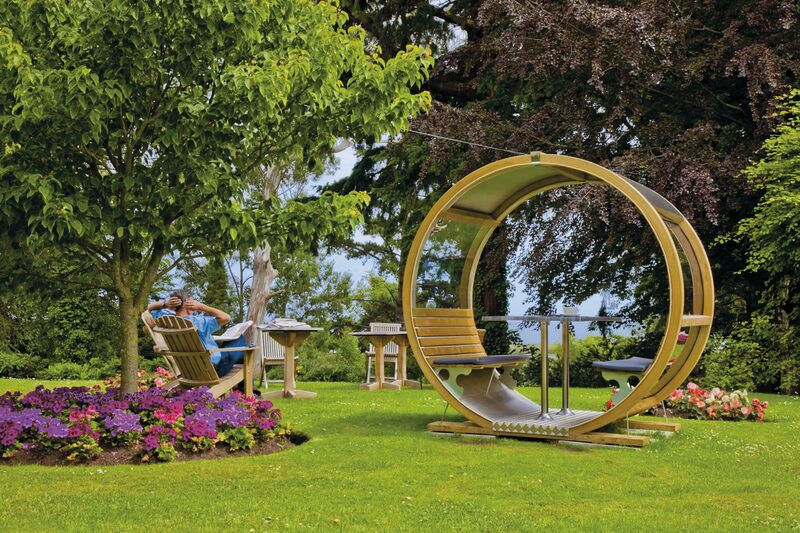 Perfect for a game of boules or croquet.